Retro doesn’t always mean outdated, uncool, or passé. Sometimes the furniture you’ve been hiding in your basement or stockroom for the last twenty years, thinking it’s no longer “in” can surprisingly add a hint of style to your kitchen and dining area. Applying vintage and old school decoration can give your place a unique vibe. Because retro interiors involve playing with lots of colors, patterns, and accent pieces, all it takes is creativity and resourcefulness to pull off a well-designed home. 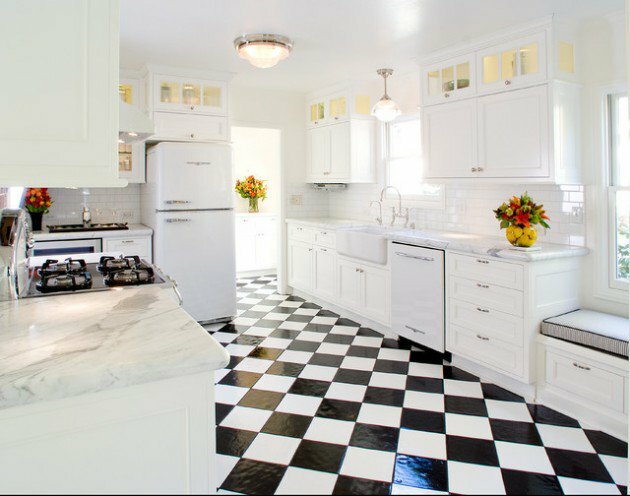 One factor that makes retro interiors pop is the use of patterns in floors or walls. It makes your space look fun and vibrant. 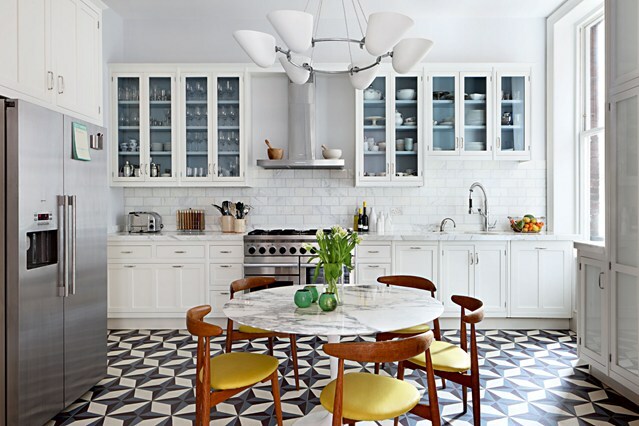 Patterns can be incorporated through tiles for flooring or splashboards. These look great, especially when matched with plain colored walls and fixtures. Usual retro patterns include geometric and checkered prints. Want more inspiration and interior styling tips? Retro design is known for its use of electric and bold colors like orange, red, blue, and purple. These work well when contrasted with lighter shades to achieve a well-balanced color scheme. 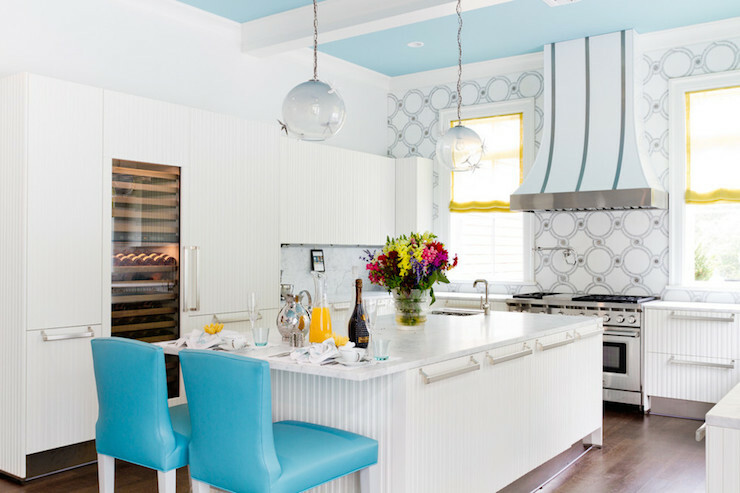 However, if bold colors don’t align with your taste, you can always opt for lighter hues such as light pastels which still achieve a bakery-like retro feel. Add vintage decors to your space to accentuate the retro look. Perhaps you can display your reto-style kitchen appliances, hang old prints and photos, and showcase your antiques and classic glassware. Pair these vintage items with your modern fixtures to create the perfect balance between old and new. Use wall shelves to display your tableware sets like Pyrex bowls, vintage cups, and decorative plates from the past. 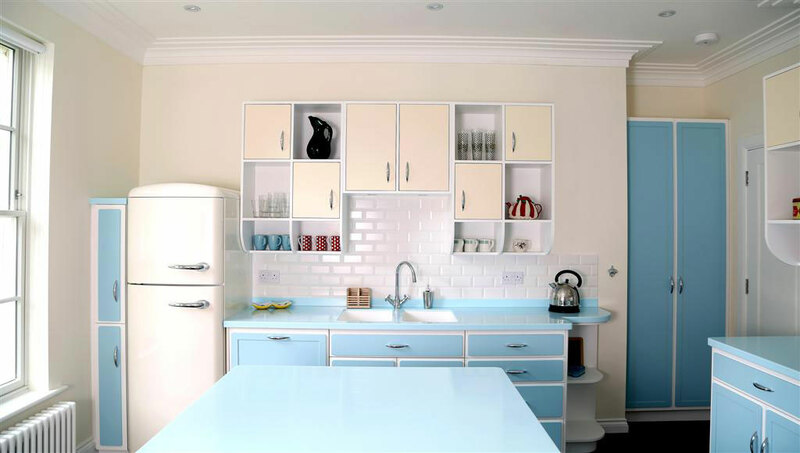 Carefully curate which to display to achieve your retro inspired kitchen and dining. Continuously add to your collection by visiting thrift shops, antique stores, and garage sales. Decorating a space to make it look retro or vintage doesn’t equate with going over the top with renovation and redecoration. Sometimes, the key to pulling off a themed space is having the eye for details. For instance, use tarnished silver or classic glass for kitchen cabinet knobs. These pair well with most colors especially white. Also, the key to detailed interiors is choosing appropriate lighting. 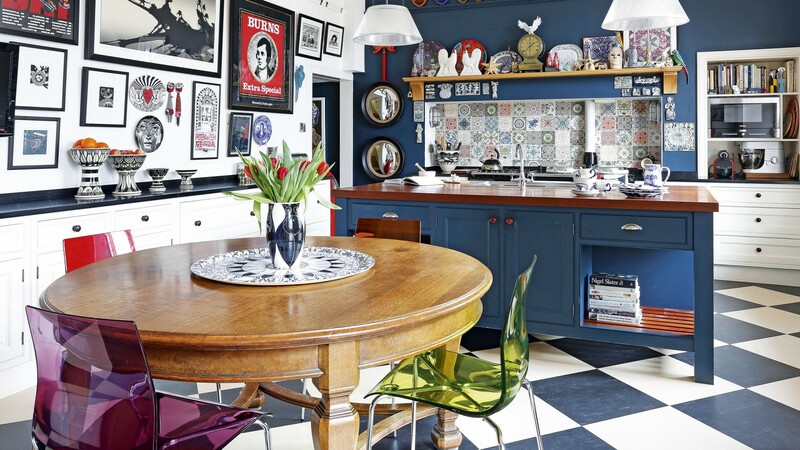 Consider using pendants with vintage and retro designs, which adds a fun yet dramatic feel to your kitchen and dining space. 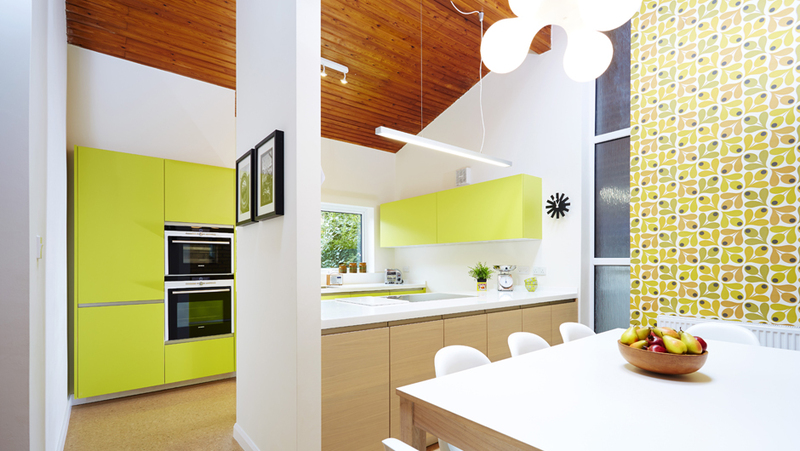 To give your space depth and a contemporary feel, mix glossy and matte finishes. Also, mix plain and patterned textile for more style and character. This simple tip gives your place a balanced feel, which appears clean and stylish. 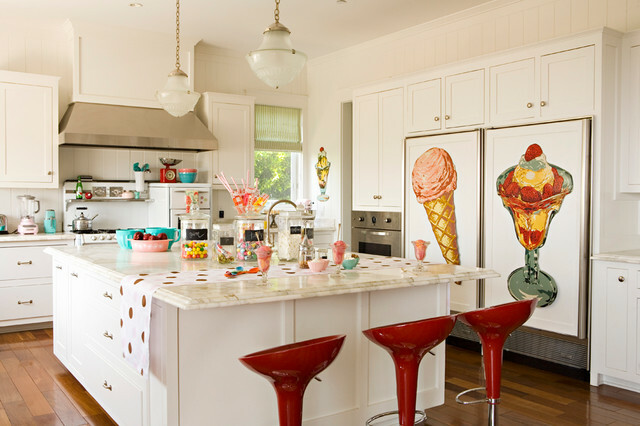 To tie the look of your whole retro inspired kitchen together, try incorporating a diner set-up. 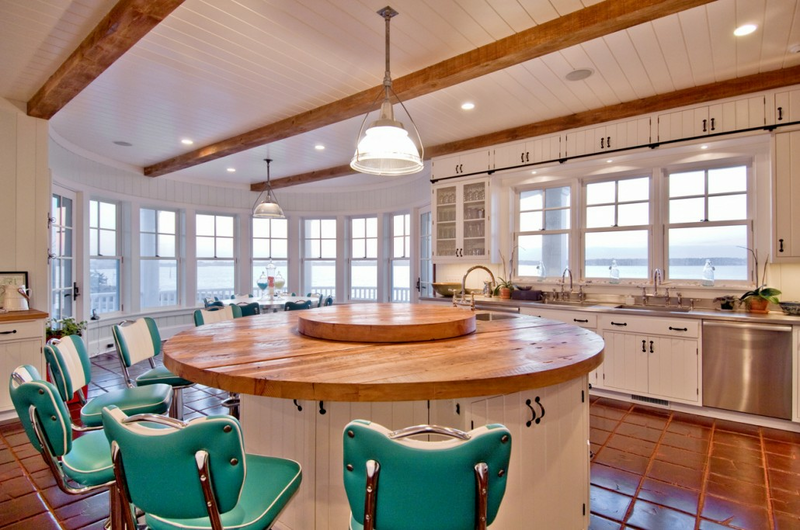 You can use your existing bar or countertop and simply add retro looking bar stools to give it the diner ambiance. This set-up is perfect for meal preparations and also serves as an eating area.